Goldstein on Gelt: What is the Truth About Financial Equality for Women? 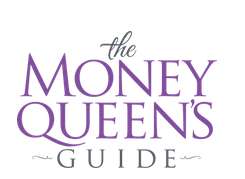 Financial advisor Cary Carbonaro, best-selling author of The Money Queen’s Guide: For Women Who Want to Build Wealth and Banish Fear, reveals that women are still far from being financially equal to men. Generally, women live longer than men but work for a total of fewer years, for lower salaries, and as a result they tend to accrue two-thirds less savings than men. Find out how women can improve their financial situation and what they should do in the event of a divorce or the death of a partner. How to keep on budget when holiday shopping.